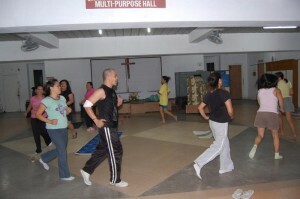 AERODANCE and FITNESS PROGRAM makes waves in the ministry. Some 20 members of SCCD and the community enjoy the program of wellness. Still under the umbrella of the Special Ministry, its aim is to handle health care program to maintain body weight management and health education. This program was launched in June, 2009 and still continues. 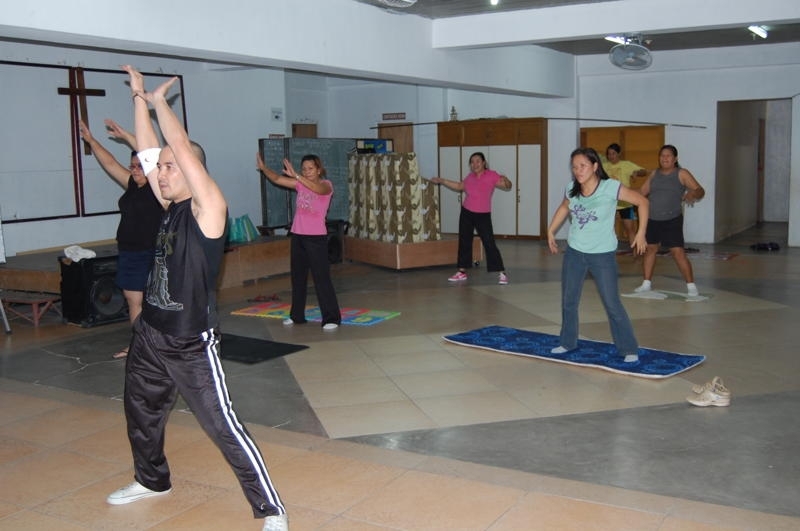 Our Aero Fitness program starts at 5-6pm every Tuesday, Wednesday and Friday with complete module: aerodance, diet computation and meal management. 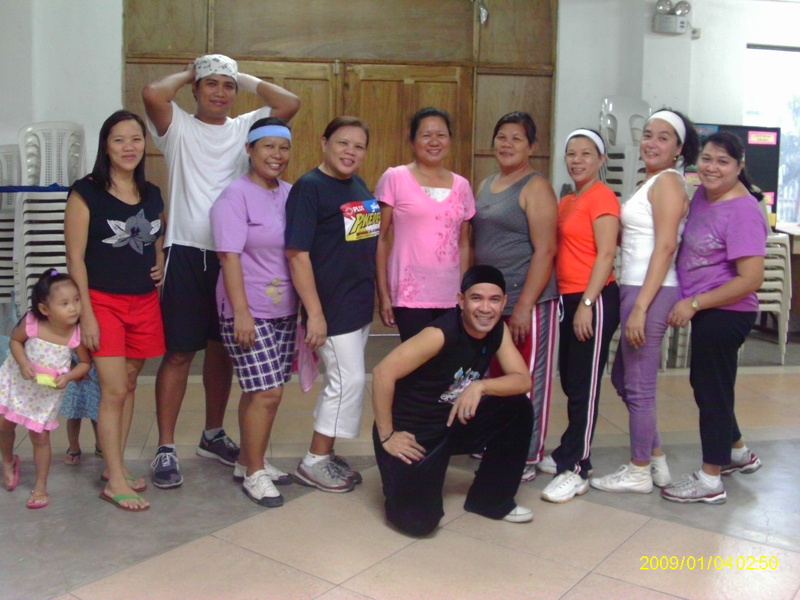 Our Aero master is Ronald Cabalit, a professional dance instructor while diet management is handled by our resident registered Dietitian, Pastor Bea Hernandez. P300.00 monthly fee is charged for workout and diet plan. Come, have fun and be fit!. ****Note: This program is put on hold since the resident Dance Instructor has commitments with other schools and Institutions who offered the same concept of health program. SCCD is still hopeful for the comeback of DI Ronald Cabalit or other resource person to enliven the dream that was once there. Aerodancing with Instructor. Way to go to stay fit and healthy! Does it hurt? Remember, no pain no gain!